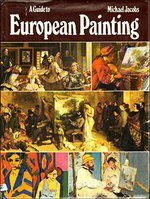 245 10 aA guide to european painting / cMichael Jacobs. 260 aLondon : bDavid & Charles, c1980. 300 a272 s. : bil. kolor. ; c33 cm. 500 aLista reprodukcji na stronach 265-269. 500 aIndeks malarzy na stronach 270-272.